The swirly bokeh of fast lenses designed by Joseph Petzval in the mid-19th century is no longer solely available to fine art photographers using view cameras. In July, we profiled a Kickstarter campaign by Lomography to fund the creation of a brass Petzval for Nikon and Canon mounts. 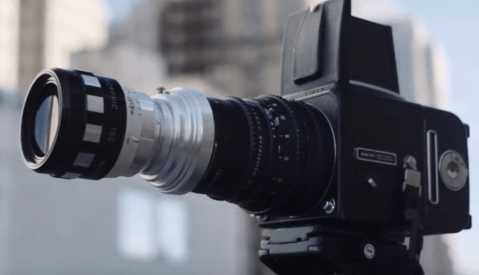 Now, a new campaign is hoping to fund the production of an F3.8 120mm lens for medium format cameras with a Pentacon Six and Hasselblad compatible mount. The prototype Petvar lens was designed by Denys Ivanichek of Olympia, Washington based on the fast Joseph Petzval brass lenses that revolutionized 19th century portrait photography. Diamond Technologies created a fully functional, modern-looking lens and brought Ivanichek’s lens design schematics into the 21st century. 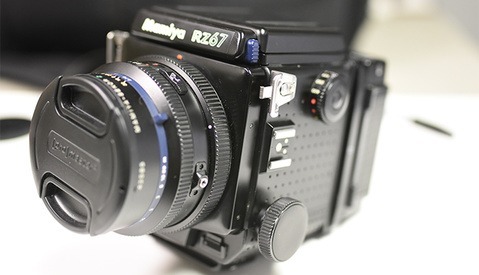 The long focal length with the use of an adapter makes it possible to use the lens on a variety of other medium format cameras as well as 35mm cameras. The hope is to manufacture a small run of coated versions of the lens. 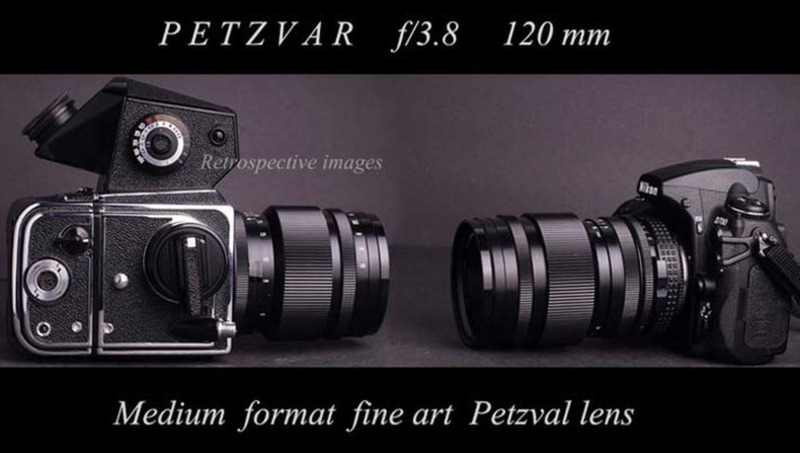 Old Petval meets new Petzval. To participate in the Kickstarter campaign and reserve a lens, go here. There's a bunch of cheap 35mm lenses that will do this, my Cosina 50mm 1.7 swirls it. I got it along with an SLR for $25. The Helios 44 is a lens that's famous for swirly bokeh, you can pick up a copy of that for around $50. I guess, you mean Helios 40-2 f/1.8 85 mm, that is famous for swirly bokeh? This one can be purchased new at some 500$. Helios 44 is a cheap prime lens that is worth even less than 50$. How about videos? Can your photoshop create the same effect to the video? Obviously u have not used Davinci Resolved. Obviously, you have never used a real Petzval. Too busy with my Hasselblad H5D. Photography isn't a pursuit of convenience. Or are you too busy trying to figure out how to make your H5D shoot video? ugh....I find this swirly bokeh quite distracting and unpleasant to look at. its definitely not for every image... but I think it would be a fun tool to add to the kit! Double-Gauss design is not that simple. Zeiss Planar is double-Gauss, by the way. Some of under corrected Double-Gauss lenses can show swirls, as well as some other, even better corrected lenses. My Nikkor 180 2.8 swirls too, even though it is quite sophisticated lens. But none of them resembling the true Petzval. By simple I meant a simple form of the double Gauss design, and Planar is actually even simpler than the Biotar. The swirl is precisely due to the asymmetry of the two gaussian elements, wich is not present in the planar design.